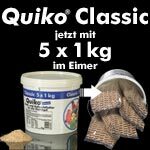 Quiko Soft/Rearing Food with intensive red. 100% pure dehydrated carrots, good for all animals. To purchase any of these products visit our online store or call our hotline on 01332 831300, contact sales@supapets-online.co.uk for more info.